Remember snail mail? Yeah…other than bills, junk mail and the occasional order from bookdepository.co.uk, me neither. 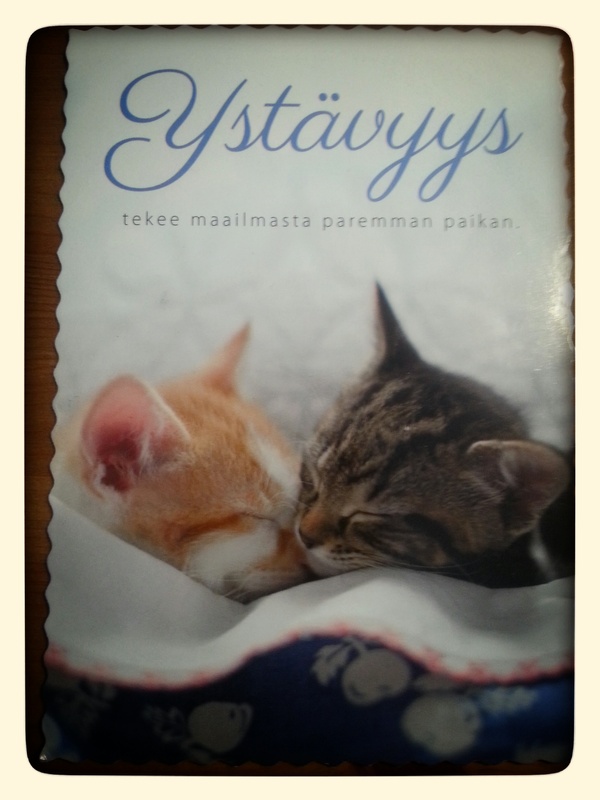 Today, though, this little postcard of sweetness dropped through our mail slot with a few bits of junk mail. What a treat it was to see — the postcard, not the junk mail! A close and dear friend once again planned ahead when I did not and sent this to show me her gratitude for our friendship in honour of 14 February — otherwise known as ‘Friendship Day’ (Ystävänpäivä) and a Finnish tradition which I gladly embrace, but always forget. The caption on the card reads: ‘Friendship makes the world a better place’. Indeed, it does. And so do pictures of cute, adorable cuddly kittens!